1. Can You Tell Us a Little About Yourself? How Are You Related to WordPress? I’m a final year student of CS from UET Lahore and a professional WordPress developer with front-end web development skills. I have experience of working in WP themes, plugins API, backend frameworks and various other APIs of WordPress. 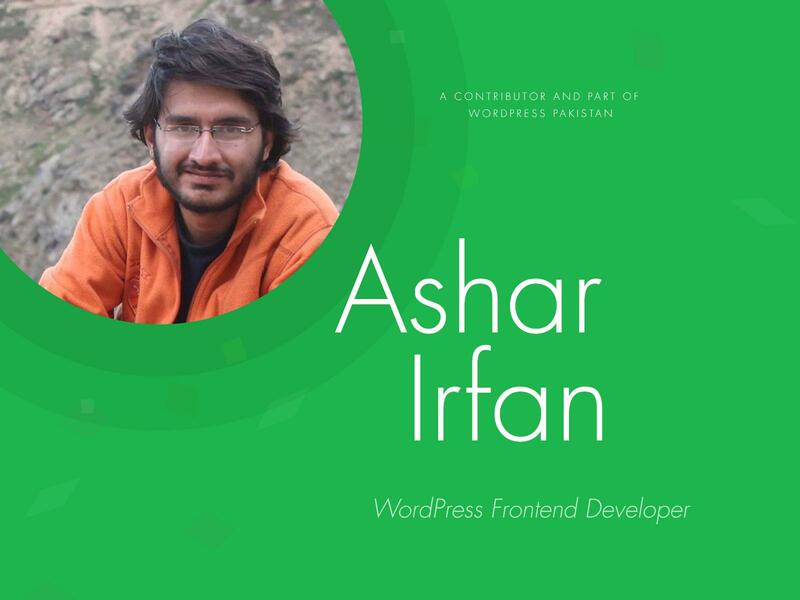 I fell in love with WordPress back in 2014 after attending a workshop by Ahmad Awais about WordPress — which led me to join his Advanced WordPress Training. Finally, I ended up with an internship position at WPTie, which turned into a full-time WordPress frontend gig. Now I work with Ahmad on a daily basis, and we build cool WordPress plugins and themes. 2. Have You Contributed to an Open Source Software Before or Was This Your First Time? How Was the Experience? No, I have not. I was contributing to the open source community for the first time. It was a great experience. Being able to help some unknown person, on an unknown part of the world. It feels good! 3. What Motivated You to Contribute, Why You Wanted to Do That, How Did You Decide to, Spend Your Weekend Contributing for WordPress? To be honest, I was kicked in by my mentor i.e. Ahmad Awais. He convinced me to join this contribution weekend and I am very thankful to him for providing me with such a great opportunity. 4. Why Do You Think We Should Contribute? What Is Your Message to People Who Would Want to Join Us Next Time? We should contribute to keep this community alive and healthy. I think more and more people should contribute to this activity so that we can help grow the WordPress community. 5. (Optional) Anything You Might Want to Add? In the end, I would like to thanks, Ahmad Awais bro. He has been a great friend, mentor and a big brother to me. It would not be wrong to say that I’m what I am today because of him.